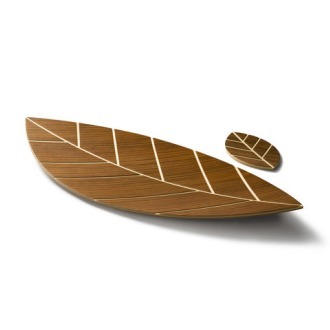 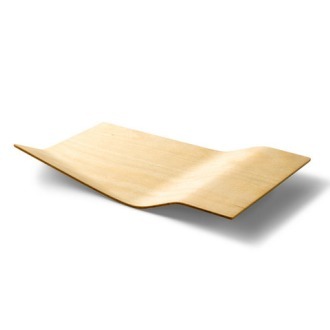 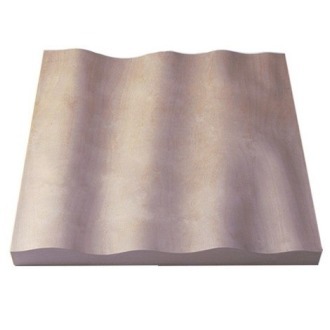 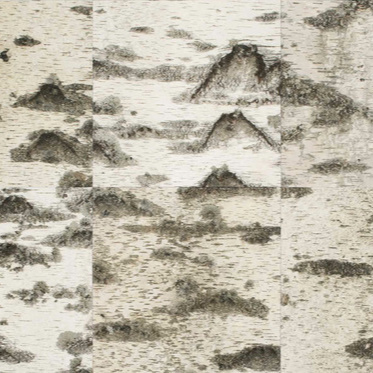 Pilke consists of numerous plywood parts, assembled in a way which brings together traditional Finnish handicrafts technique and ultramodern computer geometry. 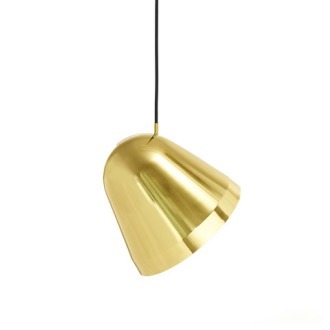 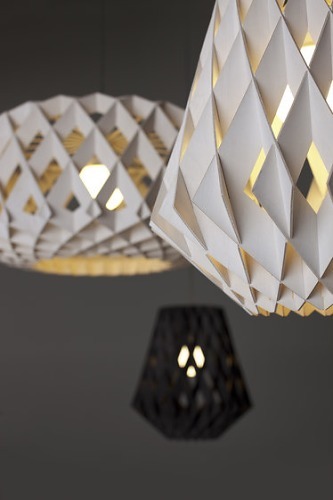 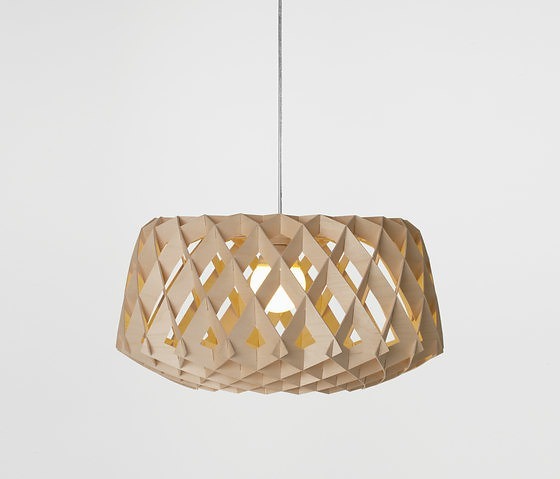 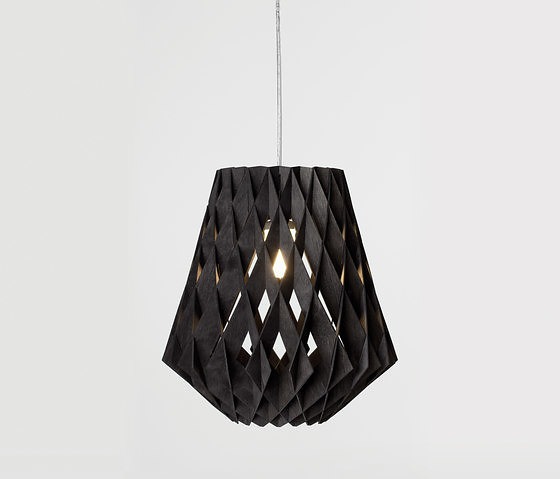 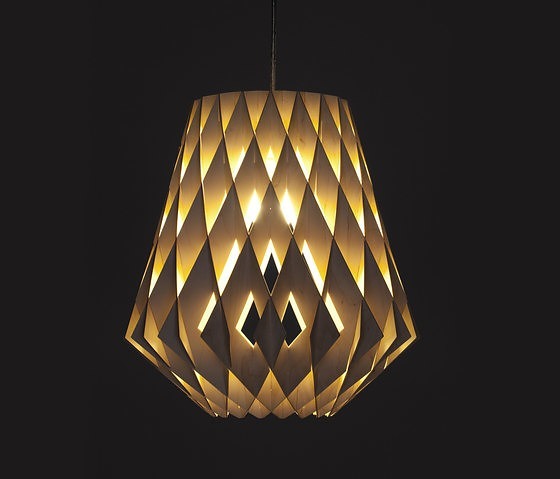 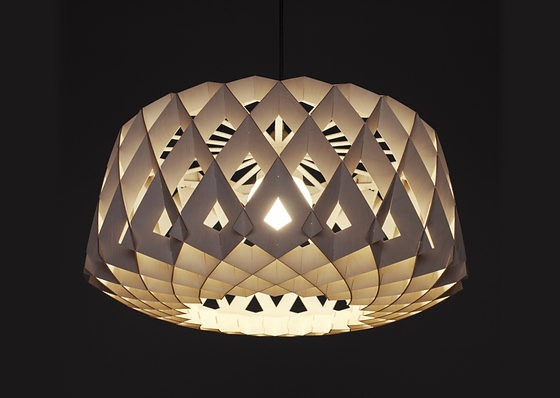 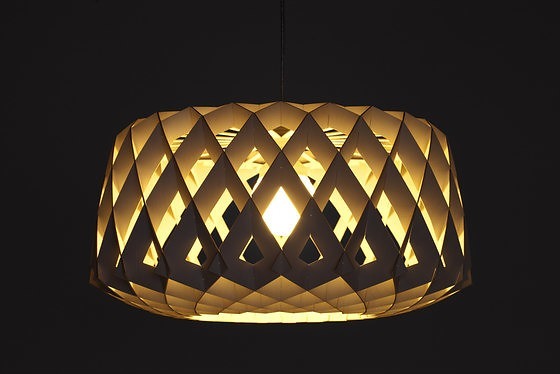 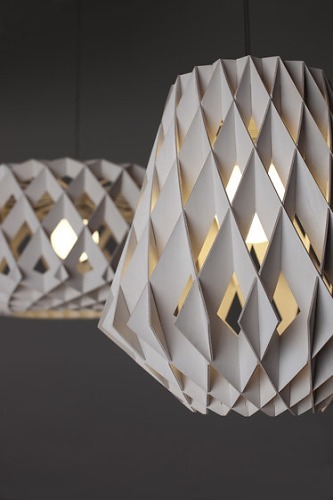 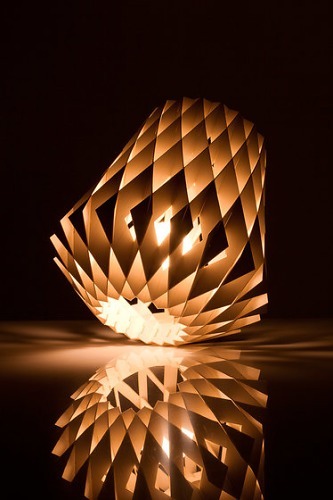 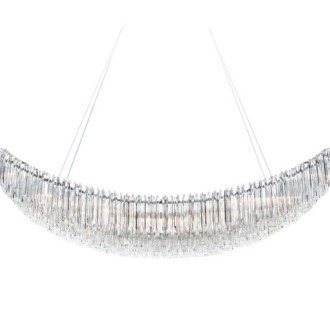 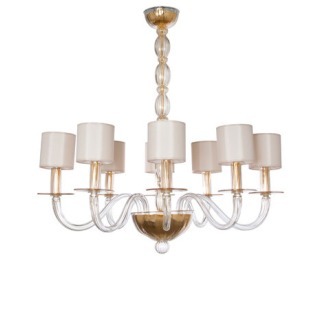 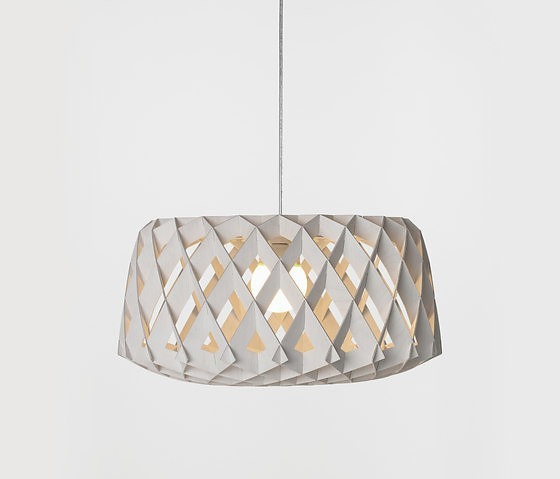 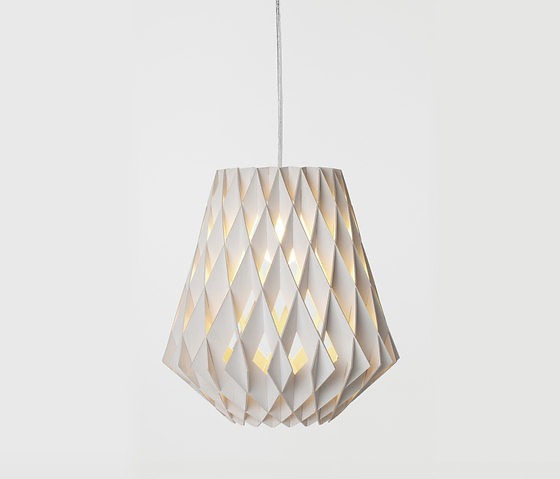 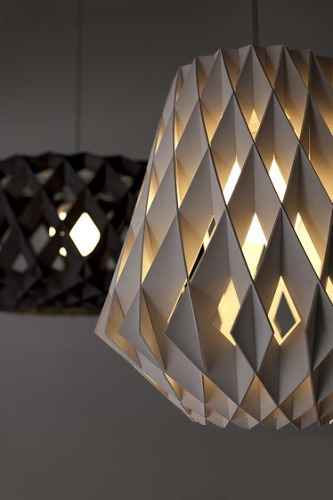 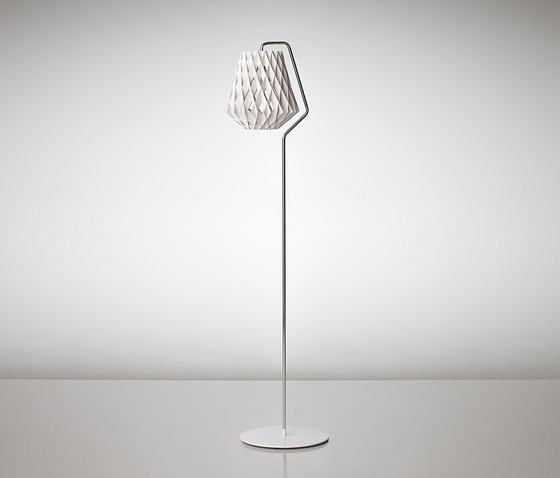 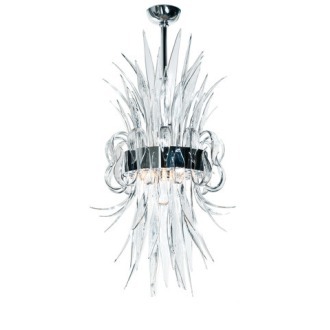 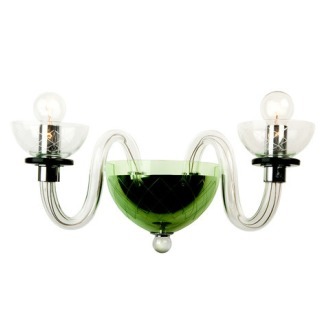 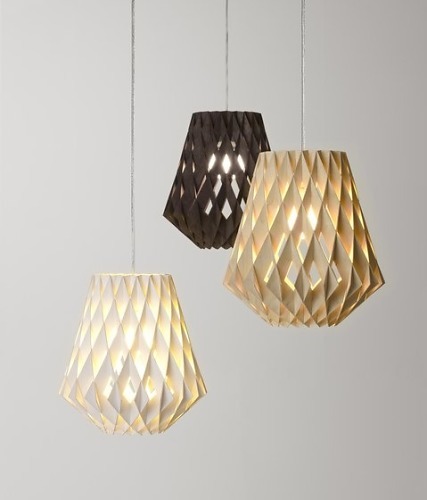 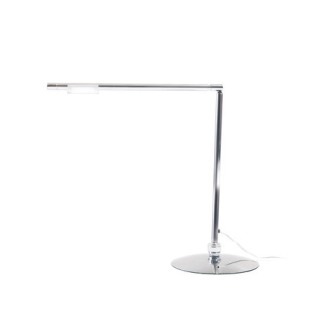 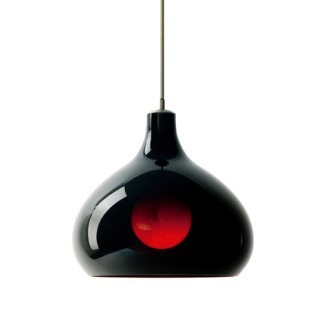 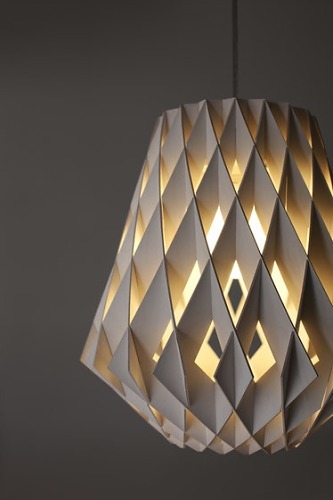 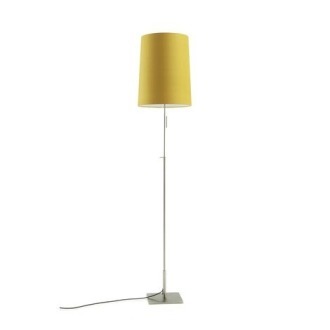 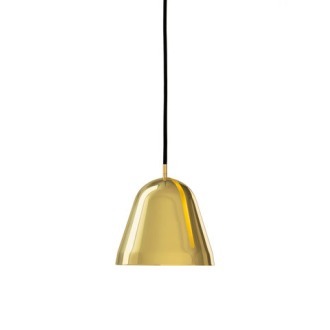 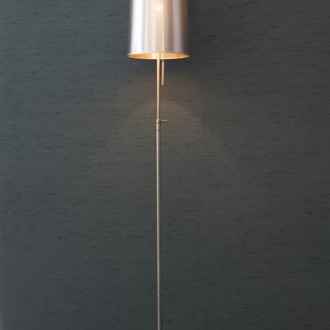 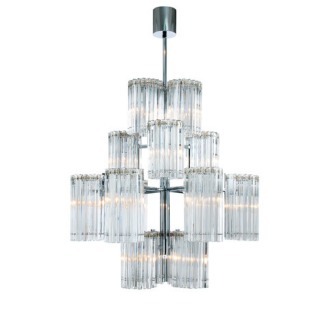 Pilke is unique, geometrically decorative light. 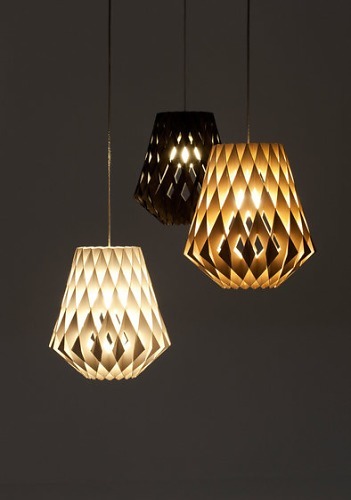 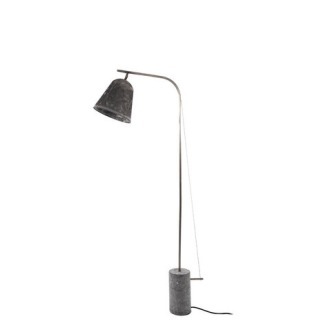 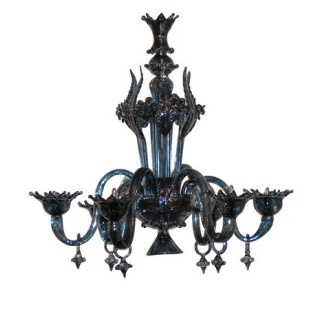 The production of the lamps takes place in an idyllic workshop on the south-western seaside of Finland. 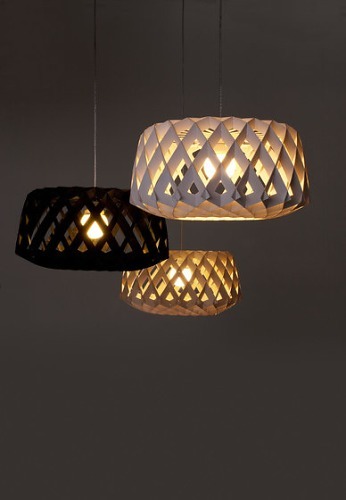 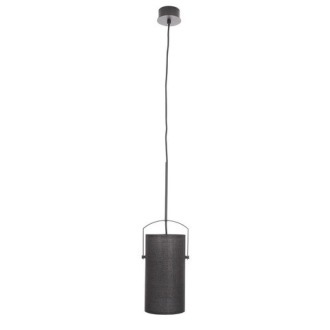 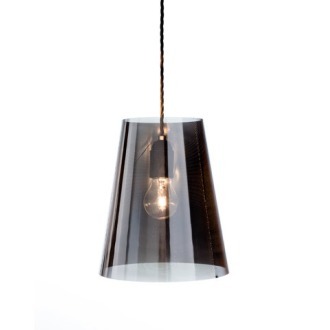 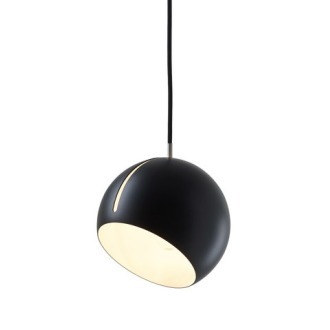 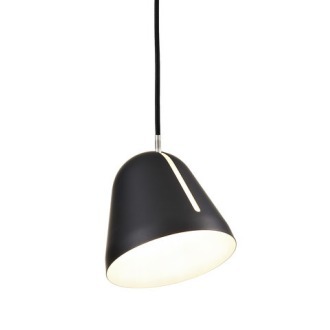 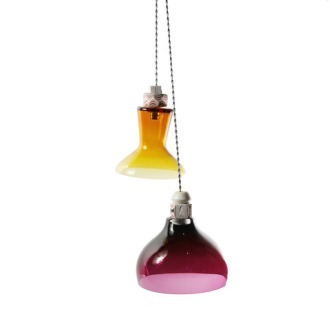 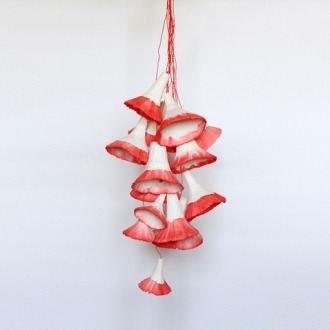 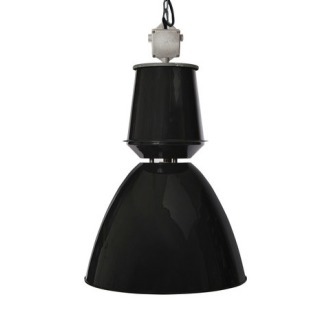 To start with, there are three pendant lamps: Pilke 28 (diameter 28cm), Pilke 36 (diameter 36 cm) and Pilke 60 (diameter 60 cm) and three colour options: natural birch, white and black stain.